He was the one who had fired two well-known top managers of the company – Ron Miller, who had been the Walt Disney’s son-in-law, and Michael Eisner, who had been working in the company for 20 years. The only thing that Roy demanded from employees – it’s not to step off of the plane. In January 2007, 77 years old Roy Disney divorced his wife Patricia, who had been 72 years old by that moment. They had been living in marriage for 52 years and brought up four children. After the divorce Roy married Leslie DeMeuse, who had been much younger him. 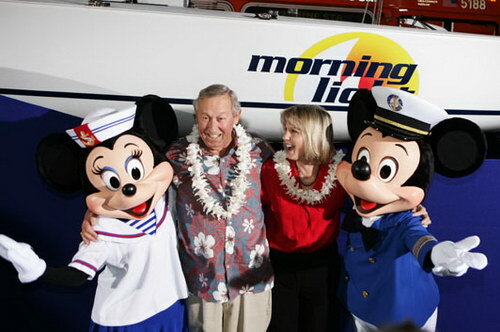 Roy Disney suffered from stomach cancer, and on December, 16th, 2009 he died. His ash was scattered over a sea from a yacht on Jan, 9, 2010, around the harbor Newport Beach. « Is it Possible to Be Happy?